I belong to something called a CSA, short for Community Supported Agriculture. Basically, you buy a share of the harvest from a farm your community has made a deal to support. Each week you get a box of whatever they have picked. You don’t know what you are getting or how much. It’s a great way to support the small farmers that are growing quality food but making very little money. It’s also a great way to eat a wider variety of fruits and vegetables, try some things you might not have, and its fun! One of items in our box recently was Salad Turnips. They were among the nicest I’ve seen in a while. But so many people don’t know what to do with them! Yes, you can make a salad with them, but don’t let the name discourage you from cooking them as well. Salad turnips are sweeter, juicier and more delicate than a traditional turnip. The first thing I always do is cut off the greens. You can store them separately in a Ziploc bag with a little air caught in it to make them last longer. The greens are delicious in salads, pastas, or cooked on their own the same way you would cook spinach or swiss chard. Be sure you wash all the parts thoroughly, turnips tend to be very sandy (after all they come from the ground) but especially right at the part where the root and the green meet. For the simplest preparation possible you can cut them into eighths, drop them in boiling, salted water until just tender when pierced with a knife (About 5-7 minutes). You don’t want them too cooked or they will become mealy and fall apart. Then hit them with a bit more salt to taste, fresh black pepper and a dollop of nice butter. Toss in a bowl while hot and the water that comes off the turnip will emulsify the melting butter into a creamy sauce. My 3-year-old loves them! I also like to roast them with soy sauce, olive oil, maple syrup and thyme for a more intensely flavored side dish. Finally, you can make a salad with thinly sliced turnips and arugula (was also in our box that week). Season it with salt and pepper, a squeeze of fresh lemon and bit of extra virgin olive oil and toss to coat lightly. Top with Parmigiano Reggiano that you have shaved with a peeler. Bellisimo! 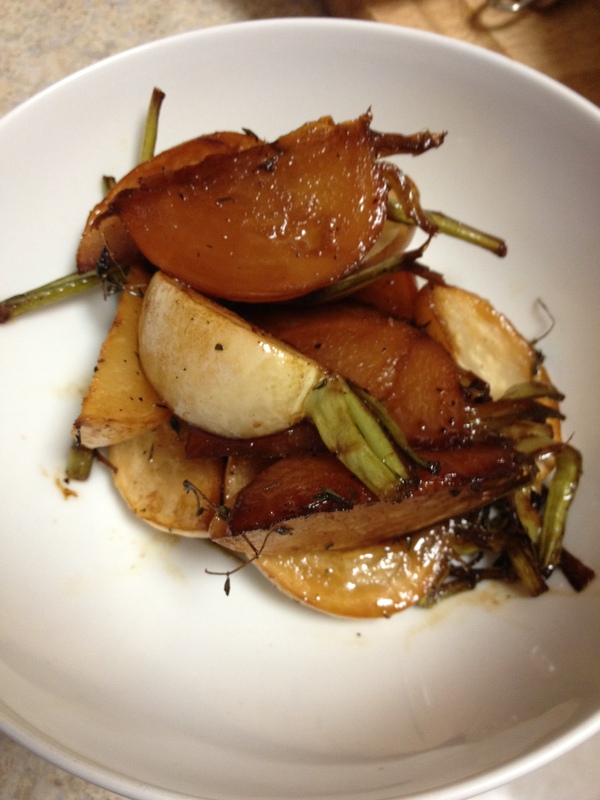 Scrub turnips well with a vegetable brush, cut into eighths and place in a baking dish. 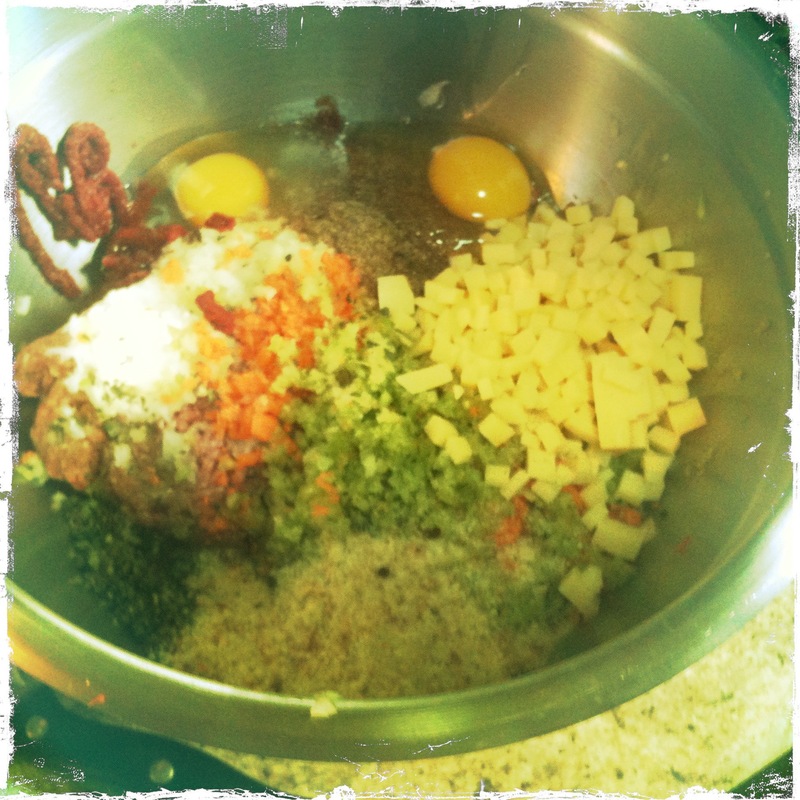 Top with remaining ingredients and mix well. Cover with aluminum foil and place in a preheated 350 degree oven and cook 20 minutes. Remove cover and stir. Cook 10 minutes more, uncovered. Stir and cook 5 minutes more, or until most of the liquid has evaporated. 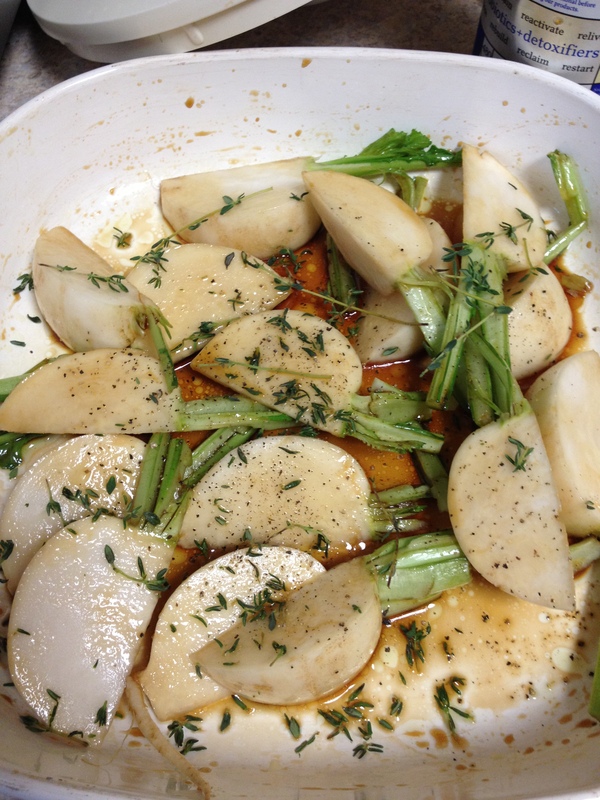 Using a dry towel, grab the baking dish and swirl around turnips to coat them in the thick sauce. Remember, maple syrup is sugar and wants to burn. If you are cooking a small amount of turnips and sauce in a large pan, there is more surface area and more opportunity to burn. Things like the assize of your pan and the size of the cut turnips will affect your cooking time. Keep an eye on them and make sure the bottom doesn’t burn. When the sauce is almost evaporated and thick the turnips are done. You can drizzle a little extra maple syrup on top for some added sweetness. Enjoy! 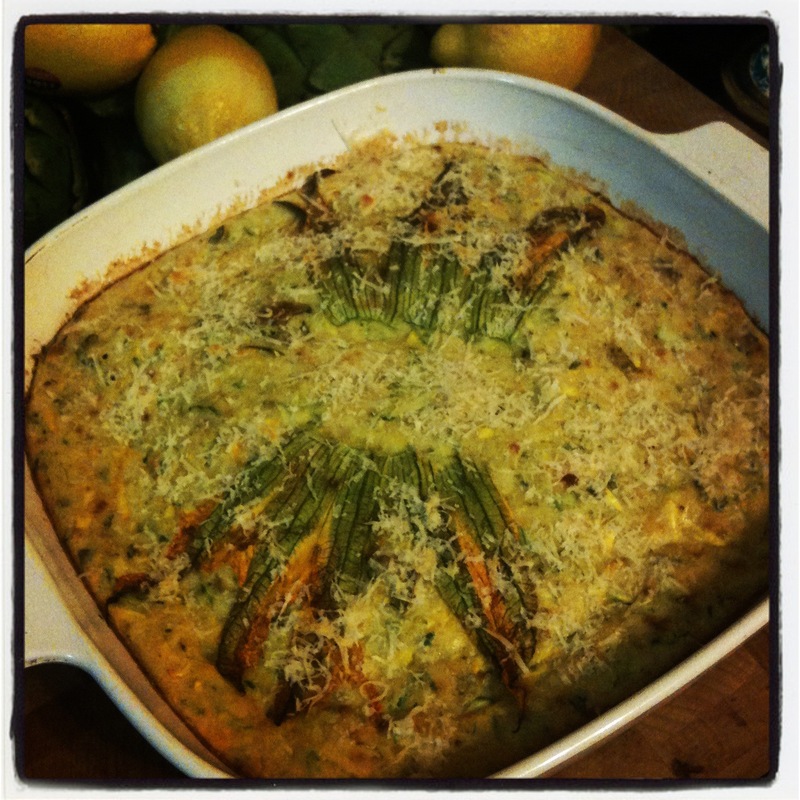 Before this summer is over, I had to get a post for Zucchini pie in, while the zucchini are local and abundant. When I was a kid my mother used to make broccoli or zucchini pie all the time, using a recipe from the back of the Bisquick box. I knew there must be a recipe out there without the Bisquick (what is Bisquick anyway?) so I did a quick search and found one posted by Real Simple magazine. I tweaked it just a bit to get it to taste how I wanted to so here it is. Try to pick small firm zucchini with skins that aren’t bruised. The larger ones tend to be filled with seeds, aren’t as sweet and have tougher skins. If zucchini flowers are available, you can arrange them on the top to form a delicious and decorative pattern. This is super easy to make and tastes great cold, which is how it is often eaten, standing at the fridge with the open door in one hand and pie in the other. It’s sort of like a crustless Quiche, with some flour in the filling to give it structure. And kids like it too! 1. Preheat oven to 350F. Grease a 9 or 10 inch corningware (or other glass or ceramic baking dish; I don’t like it in metal) with butter or vegetable oil. 2. 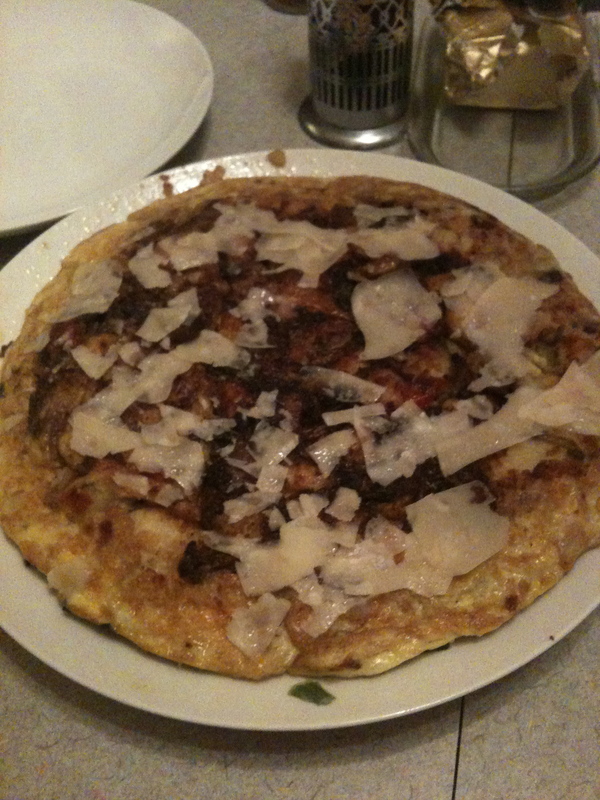 Combine all ingredients except eggs in a large bowl, reserving a little Parmigiano to sprinkle on top. 3. In a small bowl beat eggs, then fold into zucchini mixture. 4. Pour into baking dish. If you have Zucchini flowers arrange in a decorative pattern on top of mixture (don’t submerge completely). 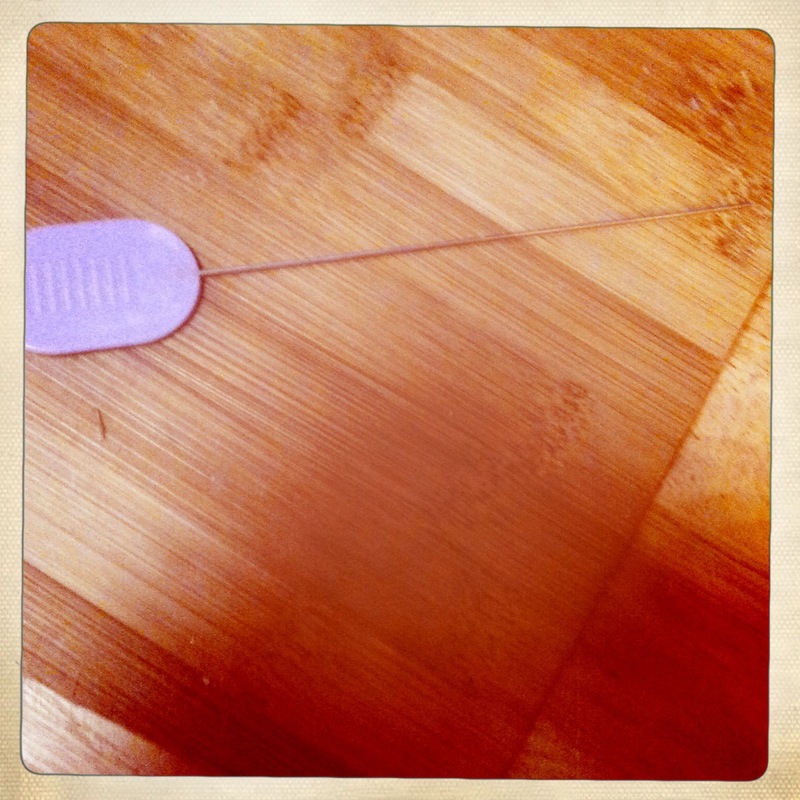 Bake 45-50 minutes or until a pick inserted in the center comes out clean. About 3/4 of the way through cooking sprinkle with reserved Parmigiano. If you desire more color you can stick it under the broiler for a couple of minutes to brown the top. 5. Let rest for about 20 minutes before slicing so that the pie sets up and cools. So I’m late on this post. Ramp season is just about over. I have been working like a madwoman and haven’t had time to post, but it’s absolutely necessary to get an entry in on them, so better late than never. I promise I’ll be on time next year. What are ramps, you ask? In the restaurant world, ramps are the first sign of spring, after a long winter of butternut squash and apples but much more delicious than fiddlehead ferns (which are also an early spring thing but to me taste like dirt.) They are a type of wild onion, closer to a leek, with a delicious leafy stem and tender bulb and they grow wild in New York, but often come from places like West Virginia and Oregon first. In the northeast you can by them at greenmarkets, as I have never seen them in an actual store, but you better get there early before the restaurants snap them up. They are delicious and sweet yet spicy and grassy. You can use them much like an onion or scallion, or just simply char them and serve them in a heaping pile of steaming deliciousness aside grilled fish or meats. Trim off the root end, then use a paper towel to peel off the thin top layer, stem down to the root to get rid of the sand. If they are particularly sandy you can wash them, but be sure to dry them well or the tender leaves will rot and you don’t want that. 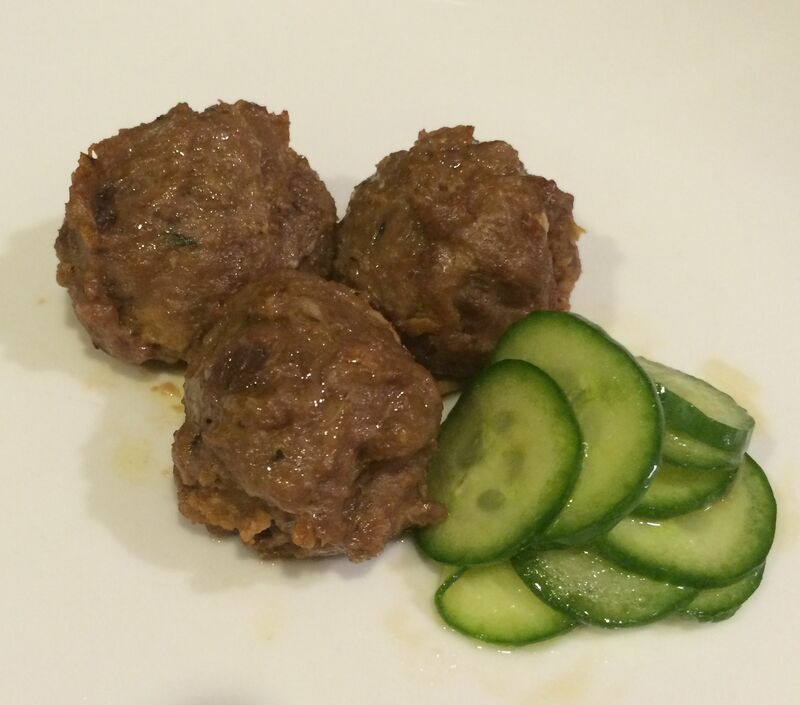 They are versatile and yummy and not at all difficult to work with. Anywhere you would put an onion, you can put a ramp, but since the flavor is more delicate you want to highlight it instead of mask it so keep the other ingredients simple. 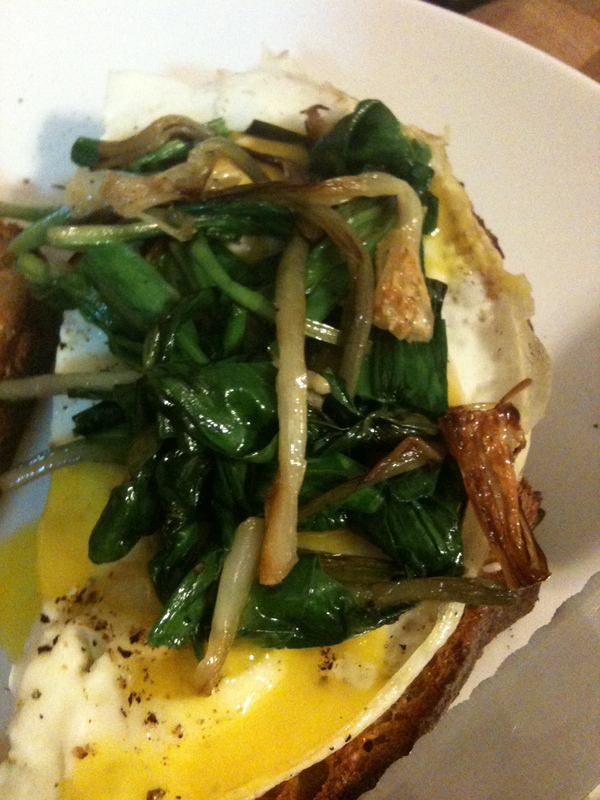 Scrambled eggs with ramps is a great first dish, simple to execute but the outcome is totally sophisticated. Separate the white part from the green and slice the white finely. Then rough chop the green. Gently sauté the whites in butter or olive oil, until translucent and buttery. Sprinkle a little salt and then add your scrambled eggs. Toss in the greens and cook gently until the eggs are soft and creamy. Serve on toasted baguette, ciabatta or crusty whole grain bread. 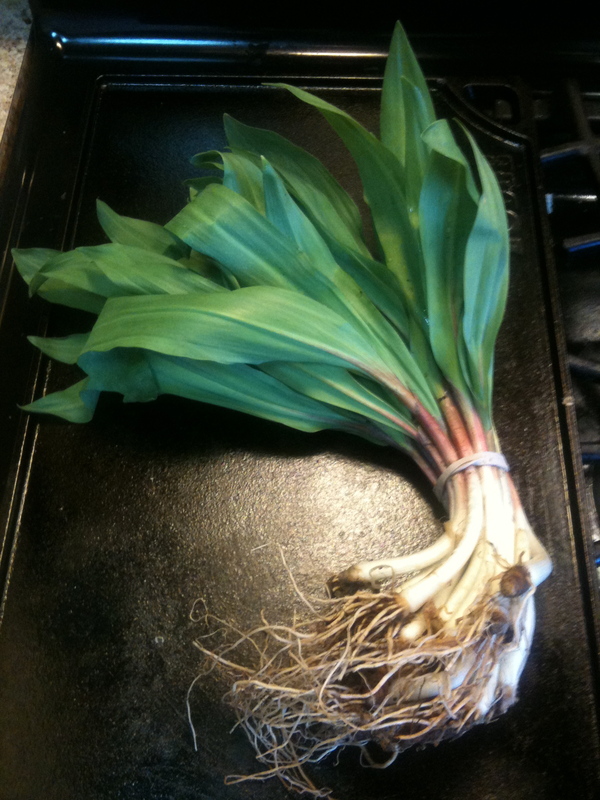 Ramps lend themselves particularly well to other spring vegetables, because things that grow around the same time and area generally taste good together. 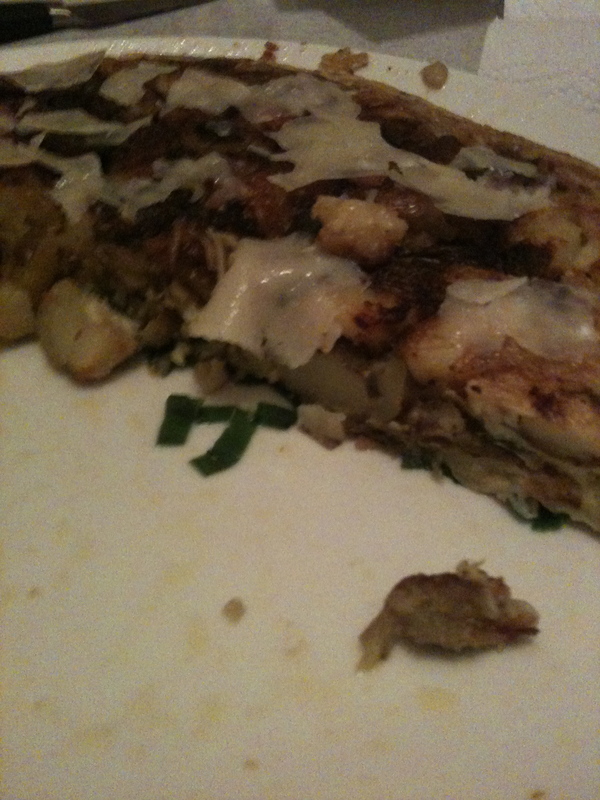 If you want to expand on the egg idea, you can make a dinner fritatta with potatoes, asparagus, ramps and mushrooms. I like oyster or hen of the woods (maiatake) but any mushroom will do. 1. Parboil some spring potatoes until tender when pierced with a fork. Remove from water and turn out onto a plate lined with a paper towel to dry. 2. In a large sauté pan, (preferably NOT non-stick*), heat some oil until just smoking and add your mushrooms, not too many so you don’t crowd the pan. Don’t touch the mushrooms. Don’t stir the mushrooms. Let them pick up some color before you move them. Moving them constantly won’t get that delicious caramelization that you want which will intensify the flavor. When you see some browning happening, then you stir them. You do, however want to monitor your heat. The pan needs to be smoking before you add the shrooms, which will then lower the temperature of the pan. But then the temp will rise again, and if you see lots of white smoke, or if your pan is looking too brown on the bottom, lower the heat. Conversely, if your temp is too low and your pan is not hot enough the mushrooms will steam as they release water instead of browning. Look at it and judge. Add a little salt halfway through cooking to draw out the moisture. Once you see color developing you can stir the mushrooms. If you need more oil because mushrooms inherently soak up oil, add a little drizzle around the edges of the pan. Cook until the mushrooms pick up color, throw in some asparagus sliced thin, sauté briefly to take the rawness out of the asparagus but leave still crunchy and then remove mixture to a bowl and reserve. 3. Cut up the potatoes to the desired size and cook in a sauté pan, along with the white part of the ramps in oil or butter until crunchy (just like home fries). 4. Scramble your eggs, add in the reserved veggies and season withe a little Salt and pepper. Add this mixture to the hot sauté pan with the potatoes. Cook until set and lightly brown on the bottom, adjusting the heat so it is hot enough but doesn’t burn. 5. At this point you have 2 options. You can turn it out onto a plate and then flip it over. Or you can stick the whole pan into a preheated 350 oven. The stove top yields a flatter fritatta with a creamier center. The oven yields a little puffier with a more cooked interior. 6. Cook until done. Turn out onto a plate and shave parmigiano over the top. * Non-stick pans are not made for high heat. To get a good sear on something never use nonstick, as heating the pan too high will cause the coating to degrade and release chemicals into your food. Besides, you won’t get the beautiful browning you are looking for anyway. Non-stick pans are fine for scrambled eggs and omelettes, but not much else. At any given time I have Kale in my fridge. I gobble it up in salads, crunch on it in chips, put it in soups, or eat it on it’s own braised in tomato sauce. What I have discovered about toddlers is that they will eat anything if it’s cooked in tomato sauce and then chopped so fine they can’t tell it’s there. You can then put it on pasta, shells would be my choice so that the little cups that the pasta form can scoop up all the saucy goodness and provide a vehicle for the green. This time, I served it with some fennel sausages and cubed up yams tossed with salt, pepper and olive oil- both roasted in the oven. The sweetness of the yam really complimented the kale and tomato and the sausage added a savory meaty element. You can store Kale for a surprisingly long time in the fridge if you put it in an airtight bag with a damp paper towel inside. Just leaving the leaves in the crisper bin will render them flaccid and putting just the stems in water (flower vase style) never works. The leaves themselves need the moisture too so a large tupperware works too but takes up a lot of room in the fridge. Braising implies cooking something tough slowly in liquid. When it comes to meat, you would do it with more exercised cuts like shoulders and legs, in which you would sear first and then finish in the liquid. Braising works great with a hearty green like Tuscan Kale because it breaks down the fibers and intensifies the sweetness. *As far as which tomato product to use- (I can go on forever about this) I’ve been trying to stay away from canned tomatoes because of the BPA in the cans. Of course sometimes you can’t avoid it. Try different brands to see which ones you like. Whole tomatoes in their juice are usually the best option because you aren’t getting an amalgamation of substandard pieces. 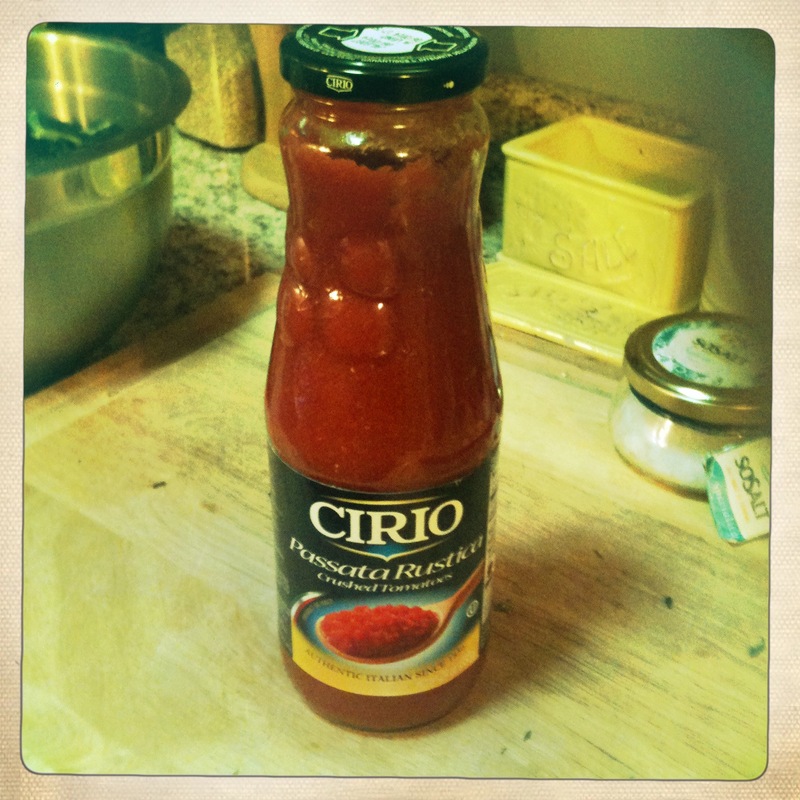 That being said, I’ve been using a brand lately called Cirio Passata Rustica which comes in a glass jar. They taste really good to me. Passata Rustica means a coarse pass through a food mill on the tomatoes, so you are getting just the chunky pulp without the fiber or skins and sometimes seeds. Pomi tomatoes in the box are generally good. You generally want to stay away from any kind of tomato puree because it’s actually just reconstituted tomato paste. . What I look for is taste- nice and sweet, without too much salt, which many brands tend to have. Aside from the can issue, La Valle D.O.P. tomatoes are very good- they are of a certain Italian classification that needs to meet specific standards to pass. After all that, there is even variation among a brand itself. You could be happy using one brand for a while and then all of a sudden it stops tasting good for a while. That’s what happens- it is, after all, a plant, a crop, and sometimes the crop isn’t as good. Sometimes you need to change for a while, or forever. 1. In a medium sized saucepan or a high, straight sided saute pan with a lid, place the cold oil, bay leaf, garlic and onion and begin to heat slowly. 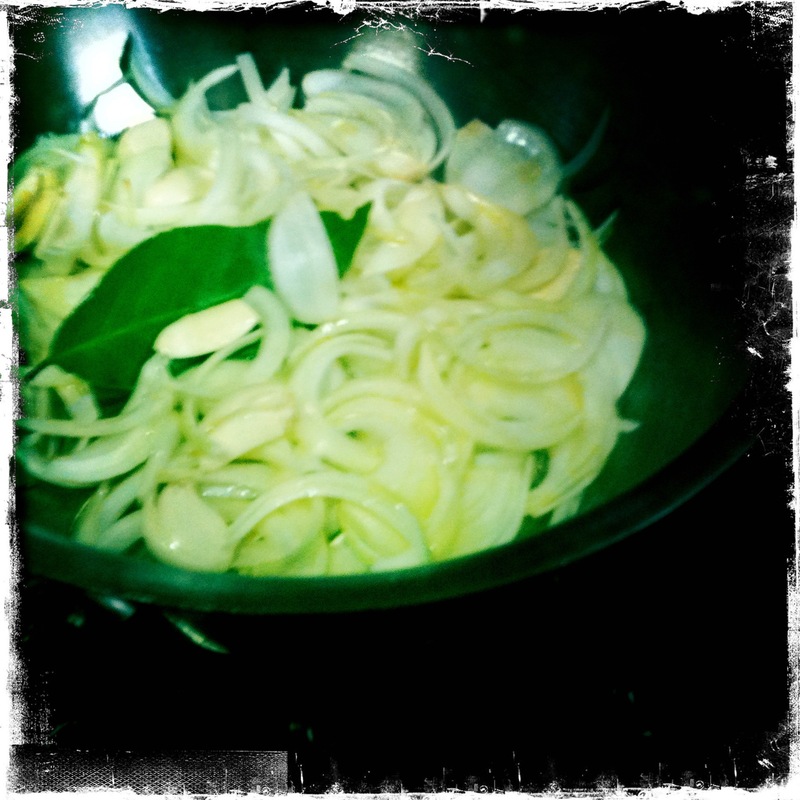 The idea is for this to cook slowly so that the onions gently release their juices and become sweet. We are not looking to completely caramelize them (so you don’t want much color) just to make them translucent, soft and buttery. 2. When the onions are there, add the kale and mix briefly to coat. Cook about 2 minutes to wilt, then add tomato. Stir and cover. 3. Bring to boil then reduce to a simmer. 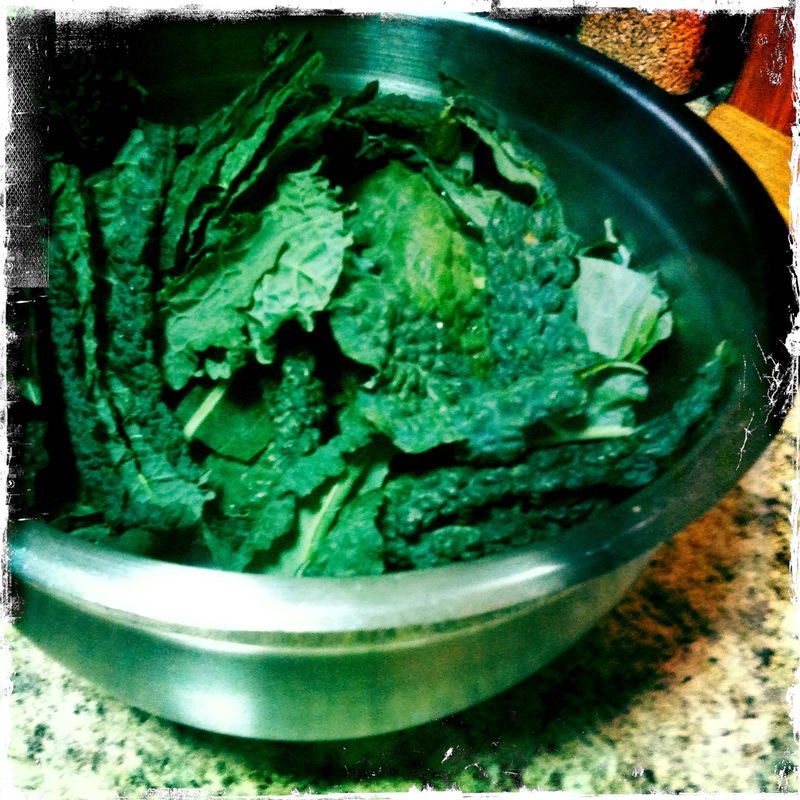 Simmer until kale is tender, about 40 minutes. 4. Season to taste with salt and pepper. You can adjust the consistency of the sauce by leaving the lid off and simmering if it is too soupy. 5. After it’s finished I’ll cool it down a bit and then chop fine on a cutting board, small batches at a time. Falafel aren’t the sort of thing you would think to make at home. First of all they are fried, and fried can be very controverisial. There are the people who love fried, wanna marry it, have it’s babies and dip them in batter and fry them. Then there are the people who eschew it either for health reasons or simply because they don’t want to stink up their houses in the process.I’m not going to go all Paula Deen on you and try and convince you that you should eat fried foods every day, but a little fried never hurt no one, especially if you don’t eat processed fried foods and the fried food in question happens to be chock full of dietary fiber, folate, magnesium and vitamin C. Chickpeas are very nutritious. And cheap. 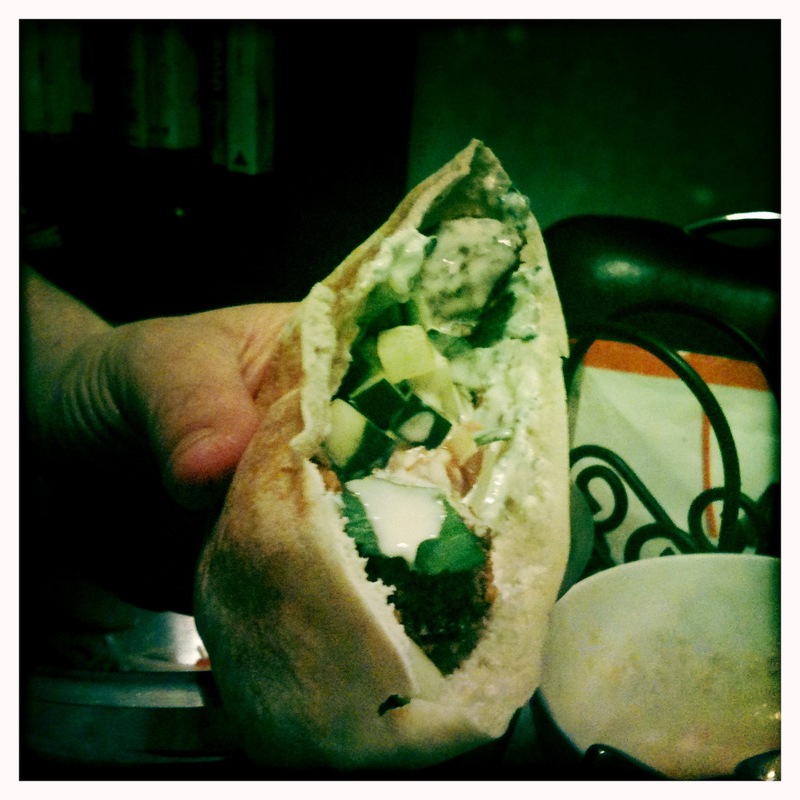 You can balance out the fried with a myriad of salads and pickles to be served in the pita along with them. So just to be clear, falafel are Middle Eastern patties or balls of chickpeas and herbs, fried and served with salads and sauces, sometimes in a pita. 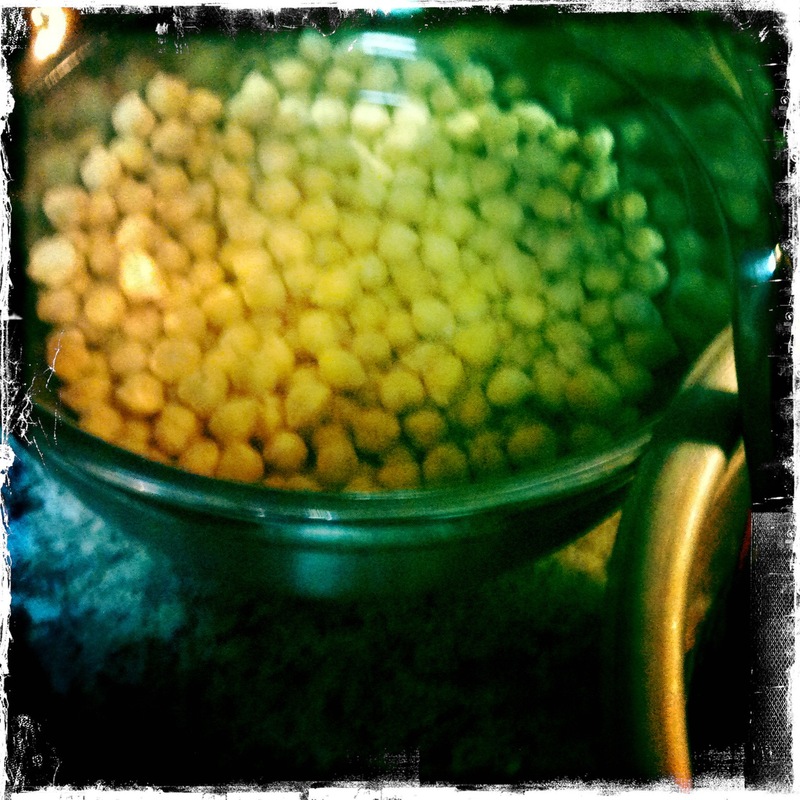 And my answer to the inevitable question of whether you can use canned chickpeas or not is an emphatic NO! First of all, you will never be able to get the texture you want out of canned chickpeas. They are wetter, almost mushy and already cooked. Secondly, the flavor of dry chickpeas is so much better than canned. Thirdly, you really aren’t saving yourself anything by using canned. Canned are more expensive and it’s not like you have to cook the dry ones first, you just soak them the day before and then grind them up. Easy. My favorite recipe is Mark Bittman’s, published in the New York Times in 2008. I use that as a guideline, with a few touches of my own. I don’t like ones that have breadcrumb or flour in them. It definitely makes the batter easier to handle but I find that it makes the falafel too dense. If you make patties instead of balls, it will be easier to handle anyway. 1. Cover chickpeas in a non-reactive bowl or container with 4X the amount of water to beans. Refrigerate overnight uncovered. This will hydrate the chickpeas and get them ready for cooking. This is pretty standard procedure for any dry bean. Chickpeas will double or triple in volume as they take in the water. You don’t cover them because they can ferment. 2. The next day drain beans well discarding liquid. Some people like to save the liquid and use it, but although there is a slight loss of nutrients there are also compounds in the liquid that cause flatulence and by discarding it you reduce the likelihood of it. 3. Place beans in a food processor and add all the remaining ingredients except spices and oil and pulse. You want to chop all of the ingredients finely but not make a puree. You may have to do it in batches, and you will probably have to scrape down the edges of the bowl a few times in between pulsing. If you absolutely must, add a few drops of water to get it going, but the more water you add, the harder the mixture is going to be to work with, and then you might have to add a bit of flour to get it to bind up again. 4. 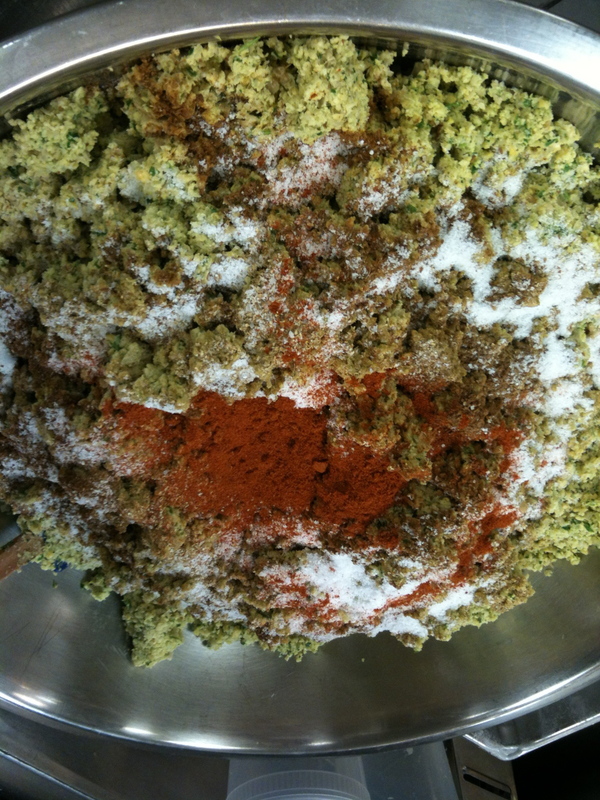 Once mixture has come together, transfer to a bowl and add your spices, season with a bit of salt and cayenne to taste. You can taste the batter raw, it’s not going to hurt you, it’s just going to be mealy, but you can get an idea. I also always like to fry one off as a test to really see how it’s going to taste, so you don’t end up cooking an entire batch of underseasoned falafel. 5. Heat about an inch of oil in a saute pan with sides. You want the oil to be shimmering. Test the oil by adding a pattie. It should start sizzling immediately. If your oil is too cool, your patties will soak up too much oil and fall apart. Conversely, if too hot, you will get brown too quickly before the inside is cooked and could even burn. You want the oil about 350 degrees if you have a thermometer. 6. Shape patties by using a tablespoon, scooping some batter up and using the palm of your other hand to smooth the edge. The batter is wet, so you can’t pick it up and roll it like a meatball. 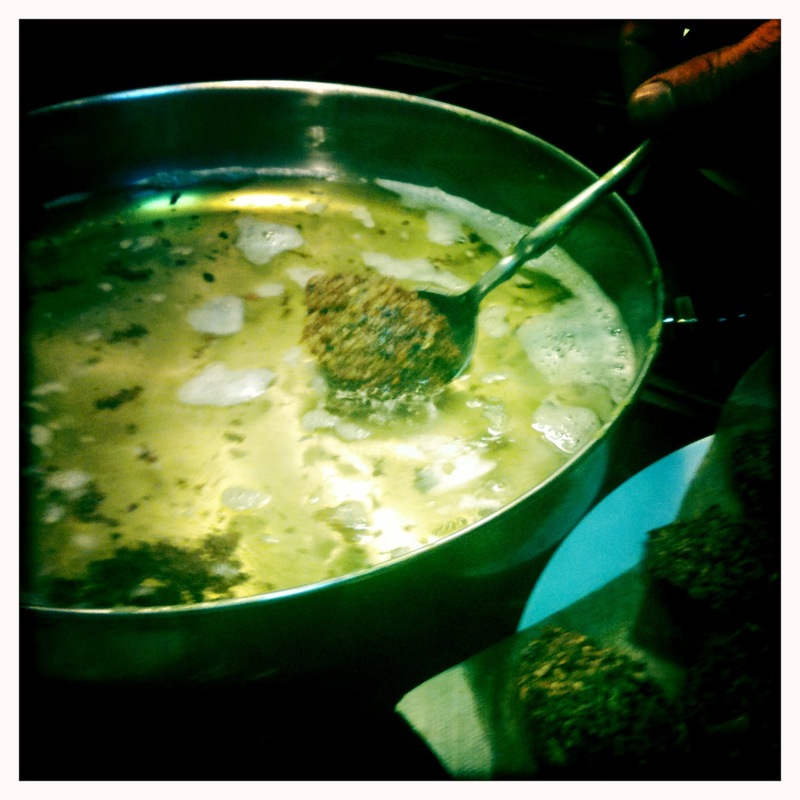 In falafel houses they will often use an icecream scooper and drop the scoops into the deep fryer. So scoop instead with your tablespoon, round it with the palm of your other hand, and then gently hold the spoon horizontally over the pan of oil and shimmy it in. If your oil is nice and hot it will start to cook it immediately setting the shape. Continue doing this so that your pan is full, but not crowded. It is important you don’t crowd the pan, or your oil will cool down, the steam emitting will get caught between instead of evaporating and the falafel will become soggy and fall apart. It’s not that hard, I’m just giving you all the information you need. 7. Flip them over when they are golden brown and cook the other side. 8. Drain on paper towels when evenly browned and sprinkle with salt while still hot. * For frying, you not only want a neutral oil, but you want one with a high smoke point. Olive oil does not have a high smoke point and is not suitable for frying. Canola oil, grapeseed oil and corn oil are all better choices, but you need to be careful of where you buy them from. If you would like more information on this subject you can read it here. I serve them with whole wheat pita and salads. On the simple end you can just cube up tomatoes and cucumbers, shave some red onion and sprinkle with salt and pepper, maybe some lemon juice. Shaved savoy cabbage tossed with a little red wine vinegar is really good too. If you’re feeling adventurous you can pickle some beets, turnips or carrots, with cumin and serve those. As for the sauces they are super easy. For the tahini sauce, you buy sesame paste (tahini) and mix it with about equal parts water. The tahini behaves weird when you add water to it. It starts out looking smooth and pourable, then you add water and it seizes up and becomes all pasty. Keep stirring it vigorously and adding water, a little at a time until it becomes a smooth loose sauce. Season with salt to taste, fresh squeezed lemon juice and I also like to grate some garlic in there with a fine grater or microplane. I also love to make a tzakiki or raita type yoghurt sauce. If you buy full fat greek yoghurt, (like Fage total) it is the absolute perfect consistency and doesn’t need to be drained. I love the stuff but it’s not what I use on a regular basis for my normal yoghurt eating needs because in around 2008 it’s popularity forced production out of Greece and into upstate NY. I did some research trying to find out if they are using grass-fed milk, including writing to the company and they never got back to me, which basically tells me they don’t. It’s highly unlikely that a large processing facility owned by Dannon in New York is using grass-fed milk, especially if it’s not labeled as so. It does say that they don’t use the rGBH hormone, which is a good start I guess. rGBH is a hormone that cows are given to keep them lactating year round, because just as humans, even if the demand is there, our supply will dwindle and even dry up over time, especially if it’s not a baby suckling and instead a machine. rGBH has been thought to pass into our bodies through milk and be the cause of early puberty in girls that has become a staggering epidemic in this country. The FDA issued a statement saying that they have found no difference between cows given the hormone and not, which means absolutely nothing. They need to protect their interests, being big dairy industry and Monsanto (who if I’m not mistaken are the manufacturers of the hormone) and they haven’t done any solid reseasrch on the subject, they just haven’t received any proof saying otherwise. But I digress. For this application, I have yet to find a grass-fed organic yoghurt that is thick and luscious so when I make falafel I still use the Greek stuff and for my daily needs I go with something else. Back to the sauce: finely dice up some red onion and toss it with fresh lemon to marinate for a bit. Mix into the yoghurt. You want it to be chunky but still have room for the herbs- I like to use mint, and a lot of it. Shred the mint finely with a sharp knife and mix in. Add a pinch of ground cumin and if you like it spicy, a bit of cayenne. Season with salt and pepper to taste. If you need a bit more lemon add it. This dip has so many uses. My husband hates yoghurt but loves this dip and can find so many creative things to rip apart and dredge in it. Like I mentioned before, you can serve the falafel in pita with a simple cubed up salad of tomatoes, cucumbers and red onion. Or you can go a bit more fancy and pickle some turnips, beets or carrots. 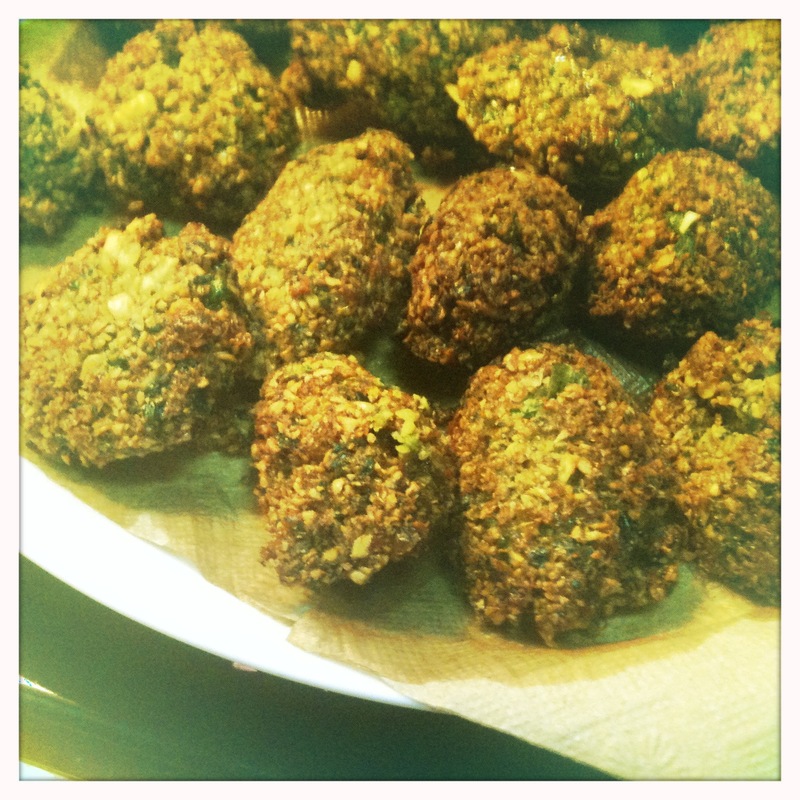 Falafel hold leftover fantastically. They stay crispy and heat up well. We always have leftovers with this recipe and love eating them the next day. It’s winter, even though it doesn’t feel like it here in New York. In the restaurant industry that means the inevitable million different iterations of butternut squash because that’s what is in season. I’m not quite sick of it yet so last night we did butternut squash risotto because, well, that was what we had in the house. My daughter will always eat rice, and because of the creamy nature of risotto, it has less of a tendency to end up flung around the house then say, rice pilaf. Or quinoa. Which I love but holy crap what a mess. Another plus is that you don’t have to peel the butternut squash, or try to whittle a large lightbulb shaped mass into neat little cubes. You just half the squash lengthwise, scoop out the seeds and roast it, flesh side down on a cookie sheet. What you end up with is a luscious almost purée that has enough richness on its own you don’t have to add much butter and parmigiano to finish the risotto. Risotto is made with Italian fino or superfino rice which has the characteristic of absorbing liquid and releasing starch, thus plumping the rice and forming a creamy sauce around, all while keeping the integrity of the rice intact. Don’t try to make it with another type of rice, you will be disappointed. However, you can apply the technique to other grains such as farro, wheatberries, or fregola and end up with a similar result. In the grocery store you’ll probably see the three most common types of rice for risotto, Arborio, Carnaroli and Vialone Nano. I suggest Carnaroli because it is the most forgiving, meaning that when the rice is ready it has less of a tendency to overcook, a common malady of the other types of rice. What I also tell my students is that making risotto is a technique more than a recipe. The amount of stock to add is never cut and dry- it varies according to the rice (different batches will absorb liquid differently), the pot you are using (a higher sided pot will allow slower evaporation of liquid than a low sided one) and how high your heat is, among other things. Learn to look at and taste your rice- that is how even the professionals know that it is done. It should have bite but not stick in your teeth or be crunchy. It should always be creamy. 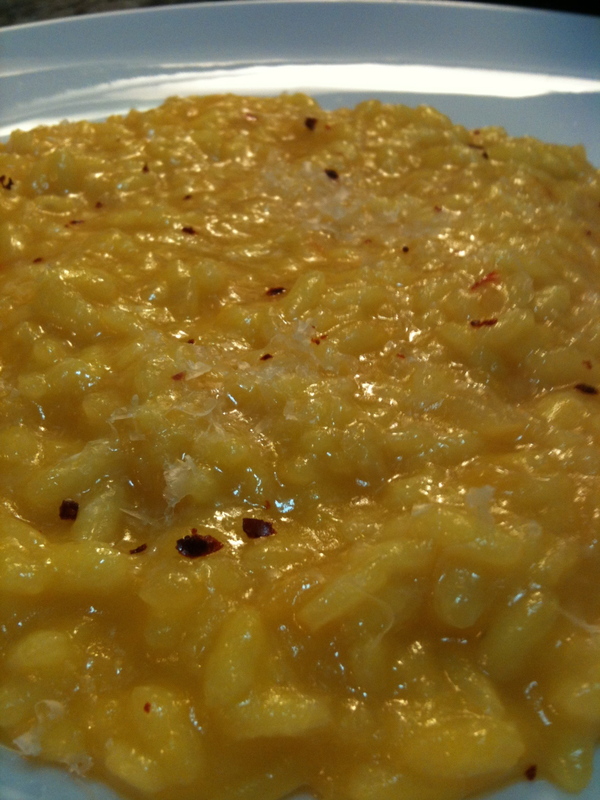 Leftover risotto can be spread out on a cookie sheet covered with parchment and cooled. You then make balls out of them, coat them with a breading of a sort and fry them. They are called arancini or suppli, depending on where you are (or risotto croquettes:) ) If you make them flat like little hamburgers you can use less oil and shallow fry them. I usually figure about 4 oz of dry rice per person for a mid size portion. But if there is only a little more left in the box after that I always cook it. 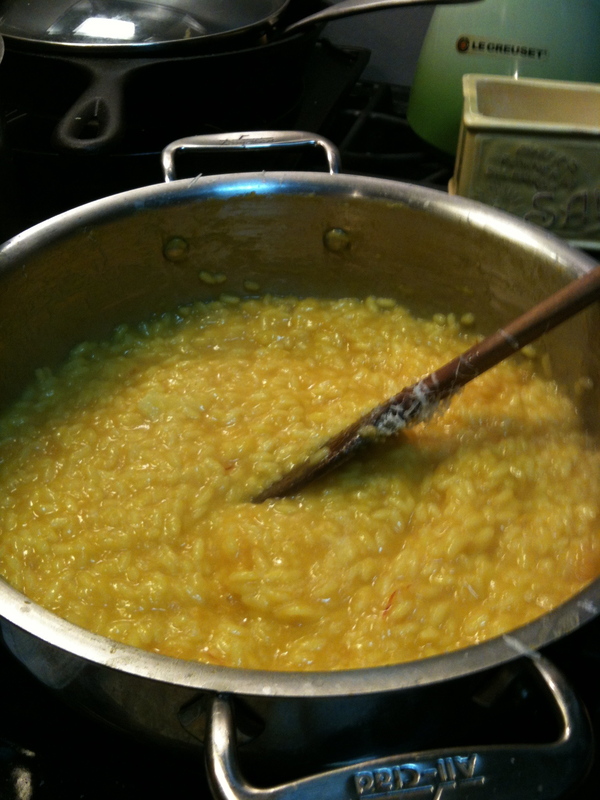 Stock is a very important part of the risotto making process. Chicken stock is often used in most recipes, even vegetable ones, because it is fairly neutral in flavor but adds a nice foundation to the rice. You don’t want the stock to be really aggressive and overpowering. If you don’t make your own, the boxed stocks or broths are better than the can. Some brands I have used are Pacific Organic and Brad’s and they are fine. Vegetable stock can work well too if you make your own. The store-bought brands tend to taste too tomato-ey or just plain gross so taste it before you use it so you don’t ruin the rice. You don’t want something too salty either, in fact, no salt in the broth works just fine, you just have to season in the pot each time you add liquid. If the stock is too seasoned add water to it. Remember, you don’t need a super intense stock. If all else fails and you have only water, you could get away with it, certainly if you are adding butternut squash to it which will impart tons of flavor. When I made this it was actually a rare occasion I had no stock in my freezer or cabinet so I make a quick one of carrot, celery and onion trimmings, bay leaves, garlic, thyme and the rind of a parmigiano. It tasted delicious. I happened to have saffron in my freezer so I added a pinch to the rice in the first round of stock I added. 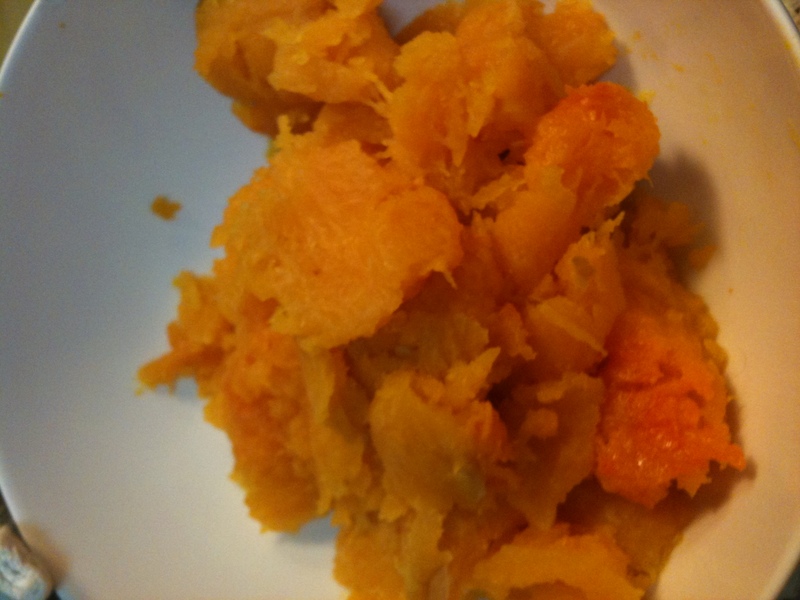 The squash already adds a beautiful pumpkin color that the saffron helps to intensify. It also adds a background of flavor but is totally optional. If I didn’t have it I would still make this dish. And it would still rock. 1. Cut off the round bulb part of the butternut squash and reserve the top part for later use. Cut the round part in half lengthwise and scoop out the seeds with a spoon. You may reserve the seeds if you like, wash them, toss them with salt and toast them for a snack. 2. Drizzle oil on a cookie sheet and place squash halves, cut side down and roast at 300 degrees until a knife inserted meets no resistance, 35 min to an hour, depending on the size of the squash. When it is cool enough to handle, scoop flesh out into a bowl and reserve. You can do this step ahead of time and store in the refrigerator. 3.Bring your stock to a boil then reduce to a gentle, lazy simmer. The stock needs to be hot when you add it to the rice or you will slow down the cooking process too much. 4. 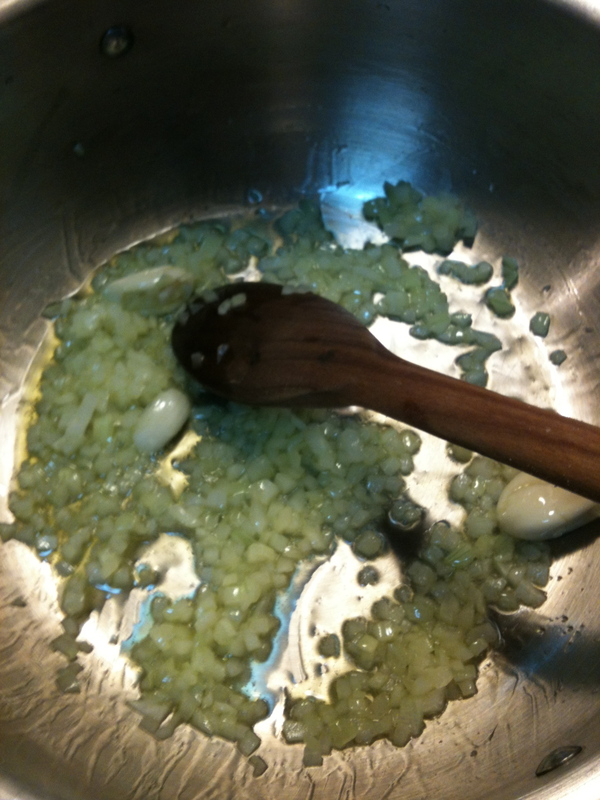 Place onion, garlic and oil into a shallow saucepan. Ideally, you want something that is taller than a sauté pan, shorter than a regular saucepan, and has rounded sides so the rice doesn’t get stuck in the corners and is made of non reactive metal. No aluminum or non stick coatings. Cook over medium heat until onions are translucent but have no color. If the onions are cut too big they will not cook in the time the rice does and you will be crunching on onions, so it is important to cut them small. 5. When onions are ready, add dry rice to the pan and stir, with a wooden spoon and toast until rice is fragrant, about 1-2 minutes. You don’t want the rice to color, just to smell delicious and nutty. 6. Add wine and stir to incorporate. Wine will cook off fairly quickly. When the rice is almost dry, add enough stock to cover the rice completely, stirring. A Chef that I worked for said the rice needs enough stock so that it looks like the individual kernels are dancing in it. You don’t need to stir it every single second, just consistently enough so that the rice isn’t sticking on the bottom. You also need to make sure that no rice kernels have crept up the side of the pot out of the liquid. They won’t cook at the same rate as the others. 7. Cook rice, stirring until almost dry. When you drag your wooden spoon across the bottom of the pot the rice should separate leaving a trail where you can just about see the metal of the pot. When you have reached that, add more stock. If your stock is not seasoned, add a little salt each time you add stock. The idea is to season the rice little by little along the way, building layers of flavor. If you forget to season until the end, your risotto will taste like only the outside of the rice is seasoned. Conversely, if you over season along the way, it will be too salty to eat. 8. Keep cooking rice in this method, adding stock to cover, cooking off until evaporated, until rice is almost done. It usually takes about 20 minutes but can be as little as 12. Read the box for a guideline and be sure to TASTE!!! When rice is almost done add the pureed butternut squash and stir. Continue cooking in the usual manner until rice is tender but still with bite. 9. Pull risotto off the heat, add your butter and cheese and beat with a spoon to emulsify, or mix in the fat so that it incorporates into the sauce and becomes even more creamy. It is important to do this off the heat or your fat will separate out of the butter and cheese and become oily. If you wish to put more butter and cheese than do it up. Drizzle with honey and mix in and season with salt also to taste. You will probably need to add a little more stock, to loosen up the consistency. If you shake the pan back and forth it should rise and be wavy, “all’onda” the Italians like to call it. It should not run all over the place but also shouldn’t sit like a big ball when put on the plate. Before I go food shopping I like to make a nice hearty “clean out the fridge” soup. I do it to use up the odds and ends of vegetables, cut or whole, that I have laying around. When my daughter was an infant and had just begun to experiment with solids I would always have some kind of chunky vegetable soup on hand. The idea was for all of the components to be cut bite size, about 1/4-1/2″, and cooked soft, so she could easily pick up the pieces with her fingers but there is no danger of choking. Now that she is a toddler, and can be quite finicky at times. Soup is still the easiest way for me to get her to eat her vegetables. I make it with as little liquid as possible, just enough to cook it. Minestrone is a hearty vegetable soup usually containing beans and sometimes pasta. 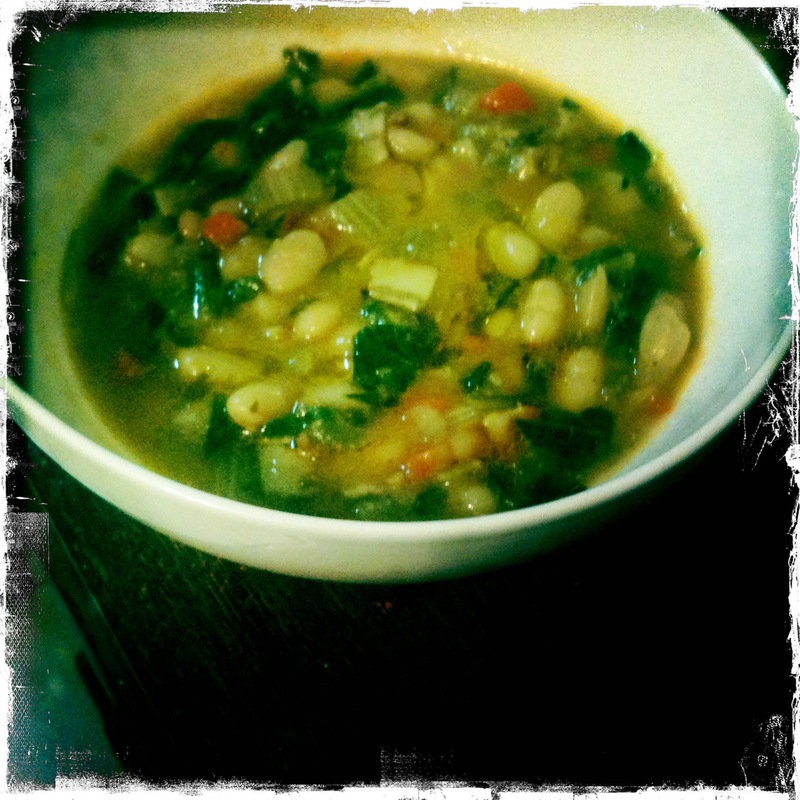 This version was made with bacon (I like the uncured, nitrate free variety), dry cannelini beans and vegetables. However, you can make it with chicken, beef, or no meat at all. If you are not using meat make sure you have tomato in it, whether it’s tomato paste, jarred tomatoes (not tomato sauce) or diced fresh ones. The tomato adds acidity and richness which sort of makes up for the lack of meat. Ideally, dry beans should be soaked the day before you are going to use them to rehydrate them before cooking. The main reasons for this are so that the beans cook evenly and don’t break apart and lose their shape, and because the soaking liquid removes some of the flatulence causing compounds from the beans. If you are making a soup it really doesn’t matter if the beans break apart a bit. The way that you “speed soak” dry beans is to put beans in a pot with 4 times the amount of water. Bring them to a boil. Reduce it to a simmer and simmer for 10 minutes and then shut them off and let sit for an hour. Discard the liquid, and cook them as you would if they were soaked. The beans I used take a really long time to cook. I know this because I have cooked them before. It’s not uncommon for the same type of bean but different batches or different producers to cook at different rates. So many factors influence this from how they were dried to how old they are. Don’t be freaked out if your beans are taking forever one day and last week they cooked up quick. That’s how it goes. After my speed soak I cooked the beans right in the soup. If you get the beans going first before you start any cooking or cutting, your timing will work out perfectly when adding them to the soup. If you are wondering if you can use canned beans, the answer is yes, but dry beans are so so so (did I say so?) much better than canned, once you start working with them, you’ll never go back. There will definitely be a future post on cooking amazingly delicious dry beans. My husband says I cook the best beans he’s ever had. I guess that’s a compliment. Sweating the vegetables brings out the flavor and forms the base of your soup. Sweating is gently cooking in a little oil so that the liquid is released from the vegetable, therefore concentrating it and elevating the flavor. As a general rule- carrots, onions, leeks, celery and garlic go in the post first to sweat. Next goes starchy veg like potatoes, butternut squash and turnips. green veg go last, especially leafy vegetables so that they keep their color. Brussels sprouts, cabbage, string beans go later on as well because they are less dense and take less time to cook. The great thing about making soup is that you have a lot of freedom and you don’t have to follow a strict recipe. I am providing one to give you an example, and a delicious one at that. Just remember that anything with a strong flavor like the cabbage family or turnips are going to make your soup taste off. I’m not a fan of beets in a soup, unless it is borscht. To clean leeks, you basically cut off the top 2/3 of the leek where it goes from white/pale green to dark green. The tops are very fibrous but still have flavor. They are good to reserve for stocks. The bottom is tender and is what you will dice for soups, etc. Slice them in half lengthwise through the root and then cut off the root. You are left with a rectangular leek with lots of layers. The layers however get smaller as you get to the where the middle of the leek would be so you need to take apart these layers to dice them evenly. Cut 2-3 layers together at a time. Another important fact is that leeks grow partially submerged in the dirt and if you don’t clean them well you will be eating that dirt. The proper technique is to cut your leeks and then agitate them in a bowl of water. Let sit so that the dirt falls to the bottom of the bowl. You then lift the leeks out, leaving the soil on the bottom. Never pour through a strainer because you’ll just pour the dirt back on the leeks. Do this about 3 times to ensure no dirt remains. About 7 years ago when I was a line cook it was 5 o’clock and I was checking all my mise en place and I came across melted leeks that were cooked by the day cook and they were sandy. I alerted the chef who then called down to the sous-chef who washed more leeks himself and brought them up to me to cook. It was dangerously close to service starting and I was sweating. 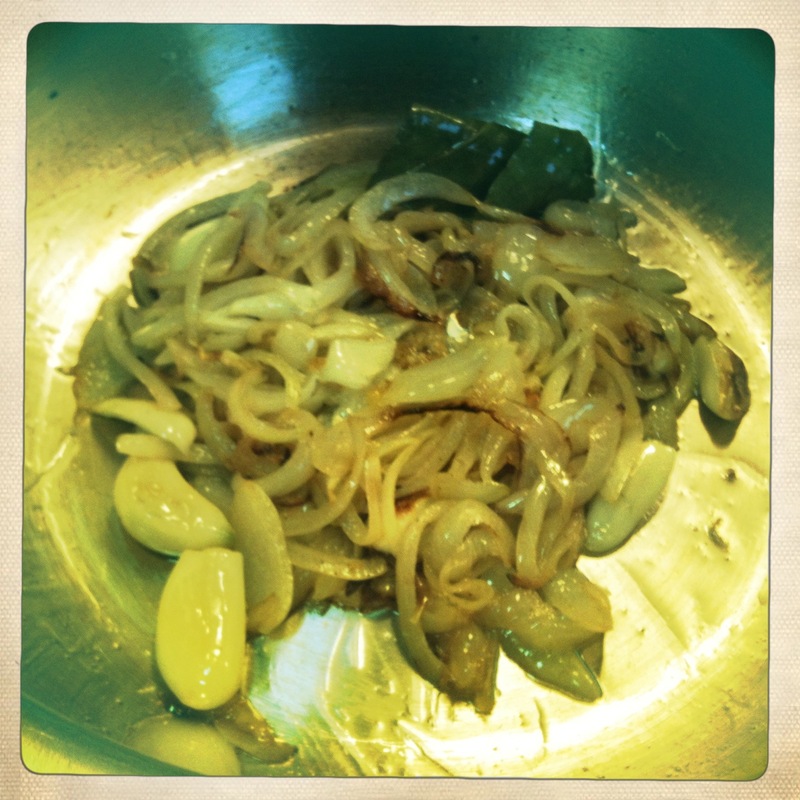 I cooked the leeks as fast as I could praying that an order wouldn’t come in that I needed them for. I tasted them for seasoning and realized there was sand in them again. Of course I told the chef, because we couldn’t serve sandy leeks, and his loud deep voice boomed across the kitchen, “HANG YOUR HEAD IN SHAME, ALEXIS.” And I did. And I don’t want you to. Warm oil in the bottom of a large pot and add bacon. It shouldn’t be sizzling. 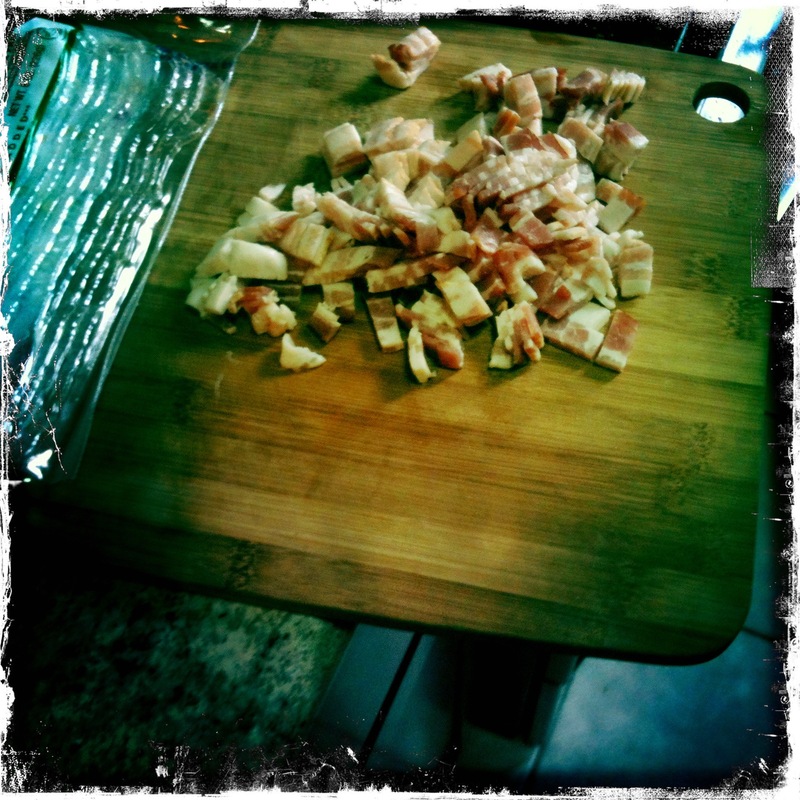 We want to gently cook the bacon to get it going and begin picking up a bit of color. 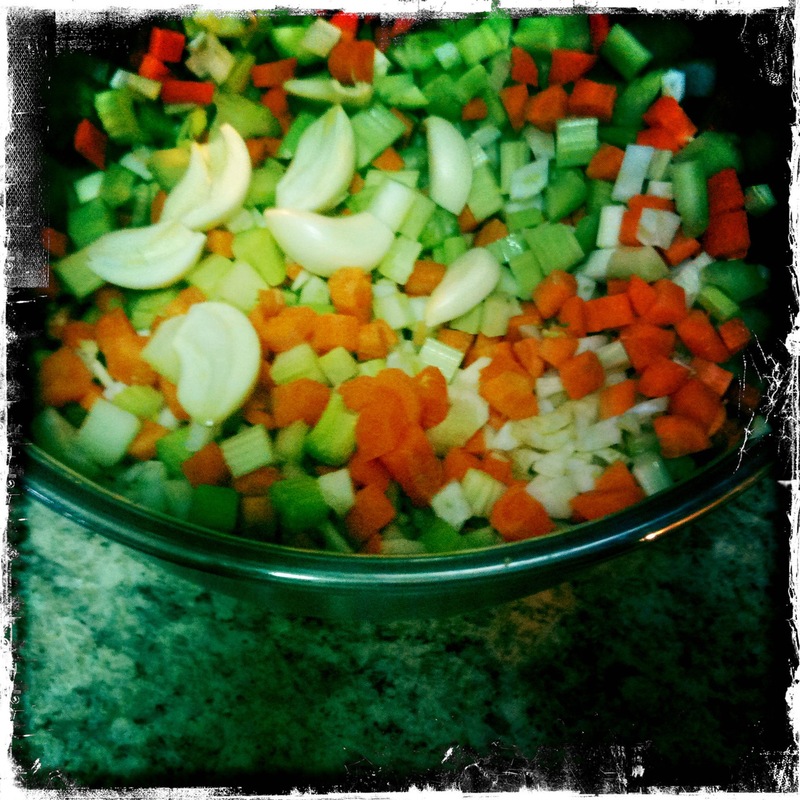 Add the leek, carrot, onion, celery, garlic, fennel and bay leaf. Cook gently over medium heat until veg become translucent and aromatic. Add tomato paste. Cook out so that paste caramelizes a bit. Add enough water to cover vegetables. Bring to a boil, reduce to a simmer and add beans, tomato and oregano. Simmer until beans and vegetables are tender, anywhere from 30-50 minutes. Don’t worry if vegetables are soft but beans aren’t cooked. Keep cooking until beans are tender. About halfway through cooking taste for seasoning and add salt. When beans are tender add spinach and cook an additional 5-10 minutes, until spinach is cooked. You can leave the spinach just wilted, but I know my kid won’t eat it that way. 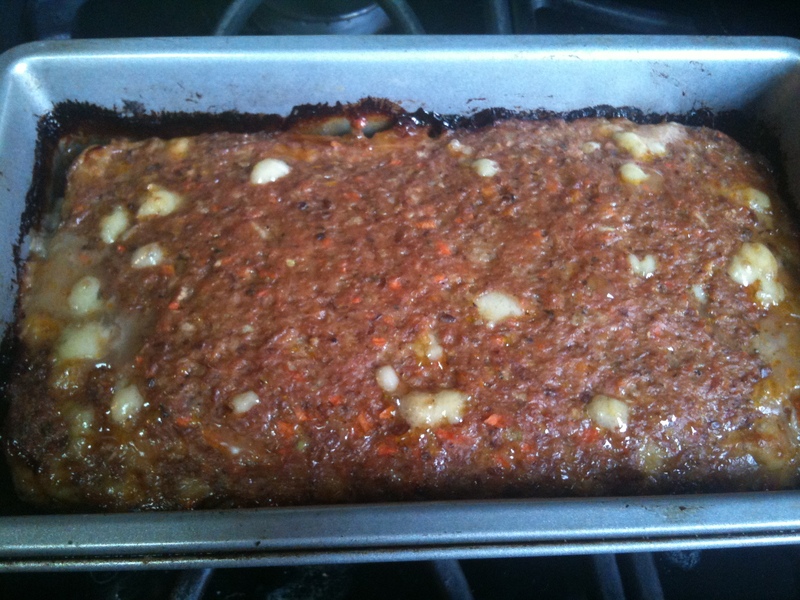 Eat with a crusty loaf of whole grain bread to sop up all of the delicious juice.